While we've come up with ingenious methods of escaping avalanches, science still isn't well-versed in their inner mechanics. 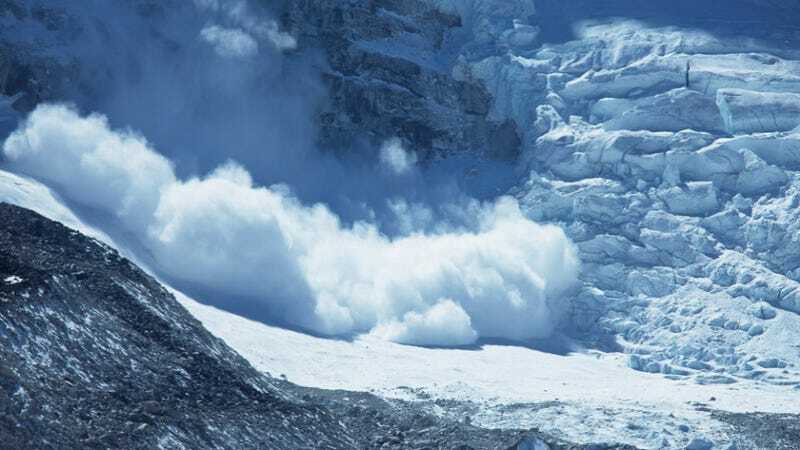 A Montana State University researcher is trying to change that by setting off his own mini-avalanches—just, you know, indoors. Engineering professor Ed Adams performs his research out of the Subzero Science and Engineering Research Facility at MSU. The 2,700 square foot lab has been in operation since 2008, making it one of the most state-of-the art facilities of its kind. Adams is researching the effects of radiation recrystallization when deeper snow get warmer than the powder on top and creates instability in the snow pack. For his experiments, Adams "grows" snow in specialized, -5-degree cold rooms that house small 65-degree pools of water. He blows air over the water, channeling the vapor up a chimney, and through an array of strings that collect and crystallize the vapor. The ice crystals are then harvested and transported to an Environmental Chamber—one with a refrigerated ceiling that mimics natural snow fall. Why? Because "Once snow gets on the ground, it's in an ongoing state of change," Adams told Popular Science. To mimic the radiation recrystallization, he warms the snow with lamps, then slices it in half lengthwise, sets marker spots that can be followed by a modelling program. He'll then add greater and greater loads until the snowpack cracks.